How to Cheat and stay skinny. *First of all, its a cheat meal and NOT a cheat day. 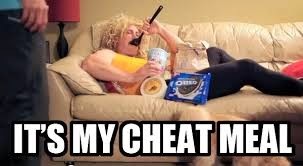 Some of the ladies on the weight loss challenge have been having issues with cheating, especially on the weekends. Cheating is a major topic when it comes to losing weight. We want a steady weight loss, but at the same time, we need to satisfy some cravings. We are human right? But some people eh, they say they want to reward themselves, they begin to plan how they will raid the ice cream store come weekend, hahahahaha! Then all the hard work turns to ZERO!! Here are ways you can cheat and still keep the weight off. Daily cheats: This one is for people like me. I love my popcorn. Though i don't eat it daily, but I eat it at least 2 times a week. I work my but off for it daily. So be ready if you want to join this team. Lol! Weekly cheats: Saturday morning. Yes i say morning, because hopefully you would have burnt off a bit of the excess or unwanted calories. Cheat with things like 1 or 2 pieces of cookies, a small cup of milo. Not more than 200 calories, something you can easily burn off. Monthly/Milestone cheats: Cheat after you have hit a milestone. You might decide to have a cheat meal every time you lose 5kg or 10kg, depending on how big you are. It can also be every month. But i don't advise this if you didn't lose anything at all through out that month and your clothes didn't even budge. Cheat with a chocolate bar, some fried chicken, a piece of cake or some ice cream. This is more like a reward for reaching your goals. Cheat as you go/cheat according to your craving: These ones need deliverance. I don't know what else to say. 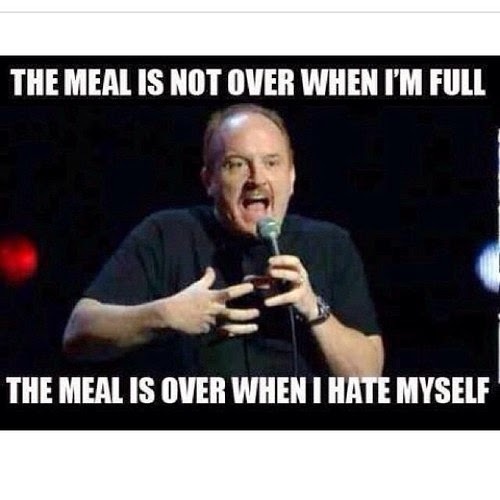 If you know you wont be able to burn off the cheat meal(in case you eat excess), its better to avoid it. 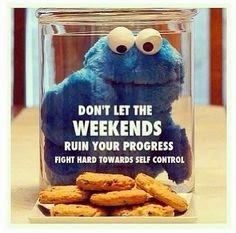 The cravings wont kill you. And i say cheat once in a while and not weekly. If you have to, stick with things like popcorn (i make my own ooo, no be silver bird), bread and butter (2 slices), diet coke, milo etc. If you don't have any cravings, please don't just cheat. Please share your cheat mishaps in the comments. Thanks. *Ammy Becky where are you, hope you are good? Ibi dear, it was nice meeting u too. Thanks. Hahahaha! @ d assist. U can resist those cakes o, Tryyyy. Maybe next time they are sharing, just leave the office for a while or let them know you really dont want to eat cake because you are trying to cut down on bad food. It is well. Hi dear, dont be sad oo. First, do you use any kind of bleaching cream or soap? If you do pls stop, it could be aggravating the stretch marks, coupled with the weight loss. Secondly, do you exercise? Exercise will reduce the stretch marks to an extent, so pls start on it. Try "bio oil", use it daily morning and night. Make sure u dont use any other body cream on that area. With time, u'll notice it fading away. Cheers and God bless. Keep up the good work dearies!! Morning dearie. Please take things easy k. Yes o, the babes r on fire. I cant wait to see d physical effect. Chai! Thanks luv and Take care. Hahahahaha! Amanda darling, u know i mean well naaaa. You are doing great, I am proud of you nne. Choi! Hot rice and pepe stew!!! Am salivating!!!! Lmao MissB abeg oh keep dt craving far oh.... #TeamFitFam... Yh I add like 1-2kg extra... But wit exercise and dieting it goes away in two days... But this last one held my neck say e no go leave me.... Loool.... Thank God for his strength and grace in ds challenge. Hmmm, MissB dos this mean that at the end of the challenge, you will go somersault in a big bowl of hot white rice? Lmao! Just asking. cus if i hear.......hahahahahaha!!! veryyyy informative post on cheat meals. i sure needed to read this. Yess oo! Tola. Glad its helpful.